Do you right now need garage door services in Pearland? 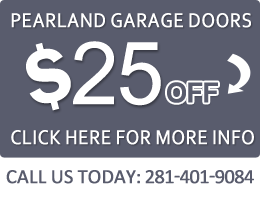 Pearland Garage Doors is here to help 24 hours a day 7days a week! 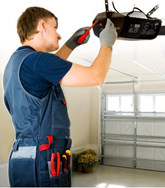 We have experts in installing residential garage doors, and repairs maintenance. We service a wide variety of garage door products including Amarr garage doors, Sears, Wayne Dalton, overhead garage doors, and all garage door parts – door openers, garage springs, name it. If need services for your garage door in Pearland, we can help. We offer timely garage door services round the clock in Pearland TX, with employees on call night and day if you are in need of emergency services for your residential garage. Need assistance to access your automatic garage? We are just a call away! Looking to add value to your home? We offer a full selection of state-of-the-art residential garage doors and all the services you need for your automatic garage: Residential wood doors, Residential steel doors, Residential aluminum doors, All major brands. Our garage door installers are licensed and very experienced. Call us today your free quote. If you need expert services on your LiftMaster, Craftsman, or Genie garage door openers give us a call at Pearland Garage Doors. We have technicians on call around the clock to provide all the services you may need – installation, repairs, maintenance. Your garage door springs are a critical component for smooth running of your garage door system. Contact us day and night if your garage door malfunctions. We can handle spring adjustment, garage door torsion spring repair, and safety inspection. Torsion spring experts are available 24/7. Pearland Garage Doors is the most trusted garage door company in Pearland Texas and we are here to serve you 24 hours a day.